Kendall Farms chosen as Best Bulk Wine and Grape Supplier 1st Runner Up! 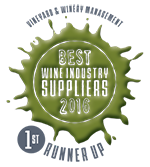 Kendall Farms chosen as 1st runner up for Best Bulk Wine and Grape Supplier in the annual survey by Vineyard & Winery Management! Bulk wine is extra wine that the winery has not packaged for retail sale. Each year, many Washington wineries set aside select quantities of their wine for sale to other wine operations around the country. Some Washington wineries make wine specifically for the bulk wine market. Others find they simply have too much of specific variety than what is needed for the year's production. This bulk wine meets the high quality standards of the winemaker's retail products; the winemaker simply has too much. Few have the time or resources to market their bulk wine to the open market. From 330 gallon totes to multiple tanker/container loads, we ship wine across the US and overseas. Great grapes make great wine. 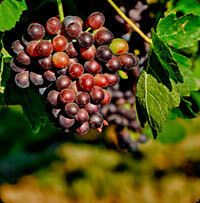 Let Kendall Farms help you secure quality bulk wine made from world-renowned Washington grapes.